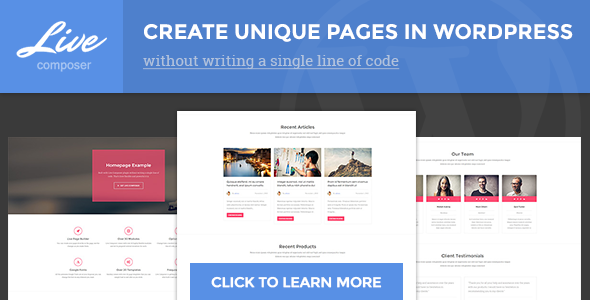 Awesome Builder is a WordPress Drag & Drop Page Builder and shortcodes generator that offers the best solution you need to build a modern web page in the easiest way ever. You can use any widget in your WordPress website in this page builder, we have tested it with many widgets and it worked fine. Control how your elements appear in every device “Desktop – Tablet – Mobile”, and control the layout width in every side. 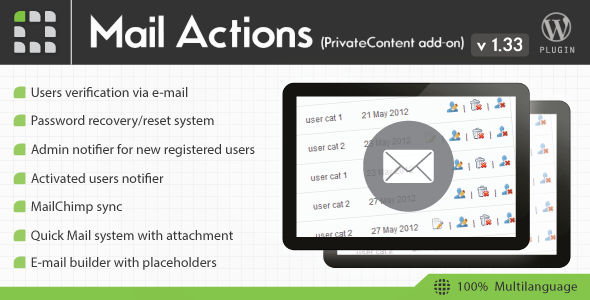 Add css3 animations to any element and let your content flow-in in a decent way, its very easy to assign an animation.. Ever wanted to add a row inside another, here you can do it as easy as drag and drop, and btw its unlimited you can have unlimited nested rows. Make your row full width in a few clicks and assign a background “color, image or HTML5 video”. The simplest UI we ever built, and the most powerful too, you should find everything whenever you need in very simple way. Even if you don’t need that you can use any widget, but we wanted to produce you with some widgets to make your life easier. Clone any previously saved content in one click and it loads instantly, its ajaxed for speed. You can translate the plugin to your own language, just translate the po file and load it. It’s clean and professional code, very easy to extend and very powerful to use. This entry was posted in Utilities and tagged bootstrap, builder, content, generator, less, oop, page, shortcodes, widgets on August 28, 2015 by Vera Jaman. In Live Composer, the content of you pages is built directly on the page, right there in the front-end. This allows you instant feedback on the changes you make and removes the need to go back and forth between the back-end and the front-end. 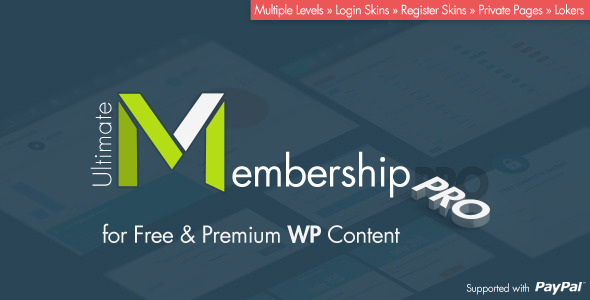 Besides the usual modules such as buttons, text, accordions, Live Composer comes with special post types like Projects, Galleries, Downloads, Testimonials, Staff and Partners which push any theme to the next level. Each of the modules comes with many functionality and styling options which allows countless variations to be made easily and without any coding. 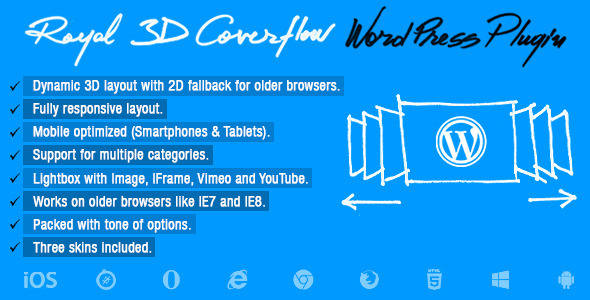 Want to change paddings, margin, font size, font families, border, background… it’s EASY. Easily adjust the modules for tablets and phones with the help of numerous simple to use options that each of the modules comes with. Using the template system you can easily export and import content from one page to another, even from one website to another. LC also comes with some premade templates you can use and modify to your needs, and there will be many more templates to come. Apart from being able to create custom pages, Live Composer also allows you to create post templates that will be used when a single post is shown ( like a blog post ). You can of course have as many templates as you wish, you can choose which post will use which template. The interactive tutorials from the demo website are now available in the plugin itself, so you ( or your clients ) can access it directly on their website. This entry was posted in Utilities and tagged builder, composer, content, danyduchaine, drag & drop, front-end, frontend, live, page, page builder, plugin, template, visual, wordpress on May 5, 2015 by Vera Jaman. v3.2.4 | Changelog | Support forum | New in v3.2.2: auto-updates through admin (without FTP), Flickr API update. Plugin is used by top agencies and brands around the world, scroll down for real world usage examples. If you’re looking for review of plugin, check out review on WPExplorer (includes video-review) or another great review on WPHub. 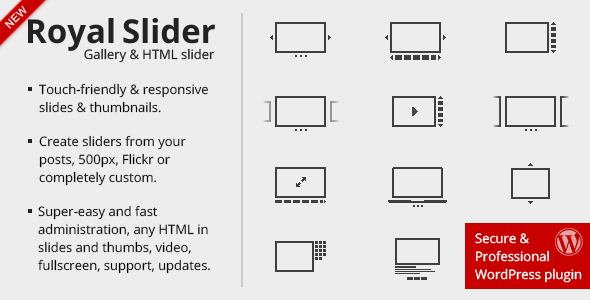 RoyalSlider for WordPress is created based on HTML version, selling here on CodeCanyon with over 20 000 happy buyers and 4.7 (5) rating. 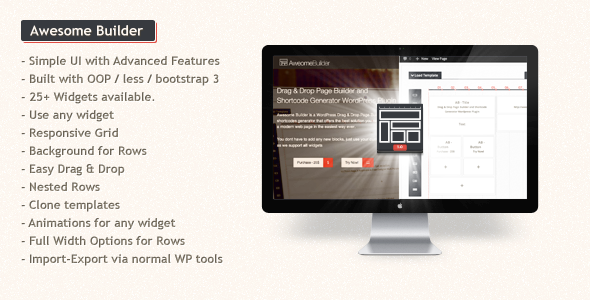 All features from HTML version are available in WordPress plugin, including unminified version of JS files and API support. Physics-based touch thumbnails image scroller that can be placed anywhere on page. RoyalSlider is tested on Mac, PC, iPad 2, iPhone 4, HTC Desire, Lumia 920, Surface, Blackberry PlayBook and even on Kindle Keyboard . If you’ve found that something works incorrectly on your device, so please contact me through my profile page or open a ticket on support forum. This entry was posted in Interface Elements, Sliders and tagged banner rotator, carousel, content, flickr, gallery, image, instagram, mobile, nextgen, responsive, slider, slideshow, touch, video on March 6, 2015 by Vera Jaman.